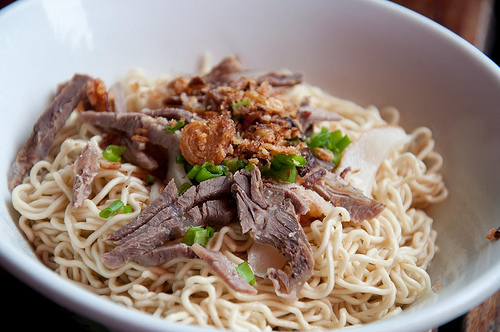 Mee Kolok is indeed the most famous one! It looks very simple but remember not to judge a book by its cover. Trust me, once you try this, you will always crave for more. It can be served with meat or chicken or sunny side up egg :D I prefer to eat this with homemade chilli condiment which is specifically for Mee Kolok. And of course, you can request to have Mee Kolok Biasa (see above picture) or Mee Kolok Sup or Friend Mee Kolok. Laksa Sarawak is so unique and different. 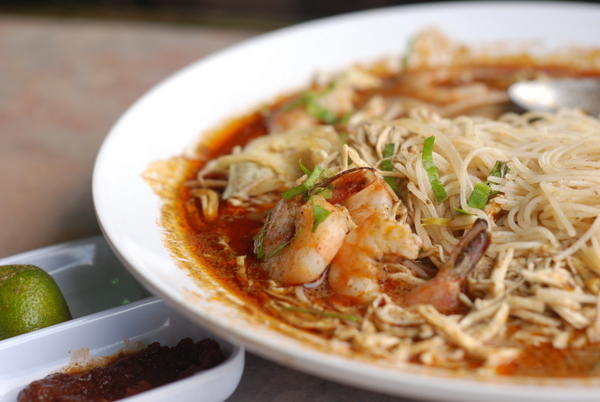 Unlike other laksa that made of certain fish as its base, the main ingredient for laksa sarawak is made from a wide range of elements. The soup contains sambal belacan (shrimp paste) which leads to the crimson colour mix with coconut milk and sour tamarind. The topping will be shredded chicken, omelette strips, prawn and lime with sambal belacan. Sounds nice? Of course, it is and that is why it a must try food when you are in Sarawak! Does it look cute? I am not really sure how to describe the taste. But it is super creamy. Creamy than buah dabai. The way you prepare this is same as buah dabai which you need to soak it in hot water, drain it and sprinkle with a pinch of salt. As for what I read, the specific name for this fruit is Litsea Garciae which is belong to avocado family too. If you love avocado, then you will surely love this! 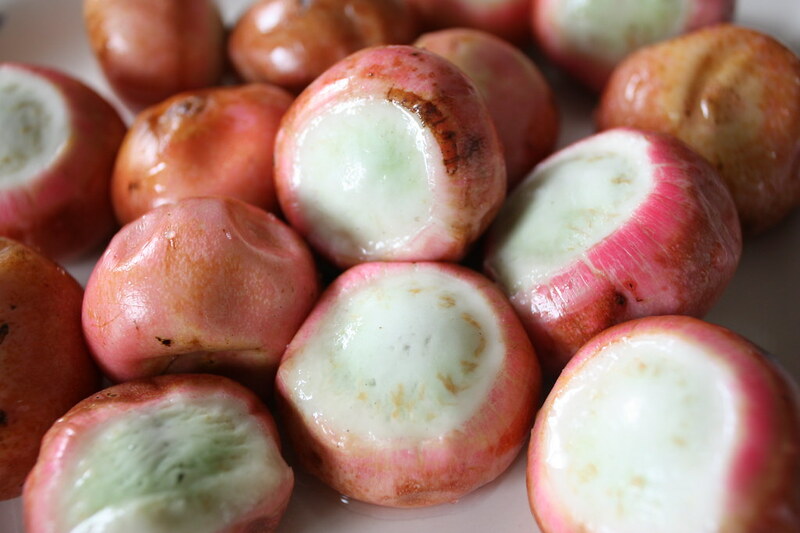 It's a seasonal fruit too so plan your trip wisely if you want to try out some exotic fruits in Sarawak. Pernah dengar yang the first two tu je. Yang buah buah tu tak pernah dengar.